What really happened between students from a Kentucky Catholic school and a Native American elder? And what does it say about us? Do we dare slow down to think in a world filled with both terrible hot takes and righteous social media outrage? Native America Calling: "Face-to-face with disrespect" — "A video from the Indigenous Peoples March in Washington, D.C. created a firestorm over the weekend. There’s a tug-of-war over the public message since the initial video surfaced showing Nathan Phillips drumming and singing as a group of students jeered and mocked him. Another group calling themselves Hebrew Israelites also heightened tensions. Tribes, tribal leaders, members of Congress, media pundits and even the school the students represented were quick to denounce what they say is obvious disrespect of an Omaha Nation elder. Parents, political commentators and even President Trump are now coming to the students’ defense, saying they acted appropriately. We’ll sort out the incident and the evolving reactions." Reason: "Opinion: The Media Wildly Mischaracterized That Video of Covington Catholic Students Confronting a Native American Veteran" — "Partial video footage of students from a Catholic high school allegedly harassing a Native American veteran after the anti-abortion March for Life rally in Washington, D.C., over the weekend quickly went viral, provoking widespread condemnation of the kids on social media. Various media figures and Twitter users called for them to be doxed, shamed, or otherwise punished, and school administrators said they would consider expulsion. "But the rest of the video—nearly two hours of additional footage showing what happened before and after the encounter—adds important context that strongly contradicts the media's narrative. "Far from engaging in racially motivated harassment, the group of mostly white, MAGA-hat-wearing male teenagers remained relatively calm and restrained despite being subjected to incessant racist, homophobic, and bigoted verbal abuse by members of the bizarre religious sect Black Hebrew Israelites, who were lurking nearby. The BHI has existed since the late 19th century, and is best describes as a black nationalist cult movement; its members believe they are descendants of the ancient Israelites, and often express condemnation of white people, Christians, and gays. DC-area Black Hebrews are known to spout particularly vile bigotry." New York Times: "Fuller Picture Emerges of Viral Video of Native American Man and Catholic Students" — "A fuller and more complicated picture emerged on Sunday of the videotaped encounter between a Native American man and a throng of high school boys wearing 'Make America Great Again' gear outside the Lincoln Memorial in Washington. "Interviews and additional video footage suggest that an explosive convergence of race, religion and ideological beliefs — against a national backdrop of political tension — set the stage for the viral moment. Early video excerpts from the encounter obscured the larger context, inflaming outrage. "Leading up to the encounter on Friday, a rally for Native Americans and other Indigenous people was wrapping up. Dozens of students from Covington Catholic High School in Kentucky, who had been in Washington for the anti-abortion March for Life rally, were standing on the steps of the Lincoln Memorial, many of them white and wearing apparel bearing the slogan of President Trump." 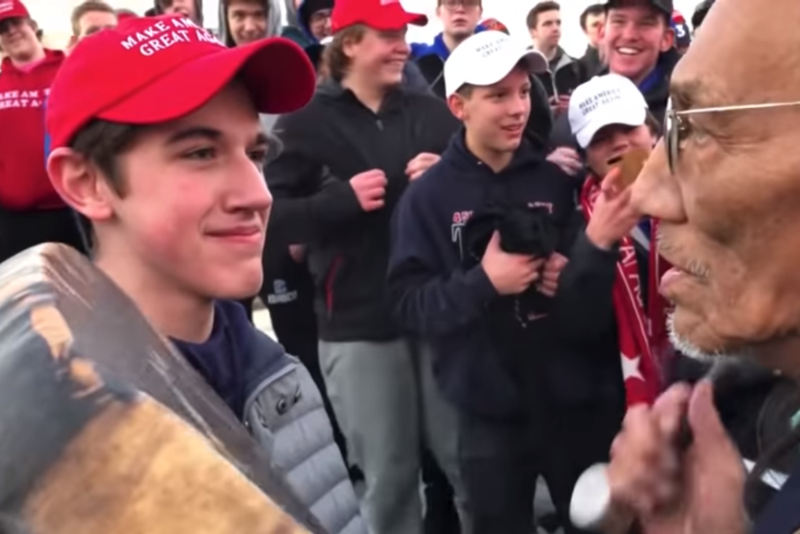 CNN: "A new video shows a different side of the encounter between a Native American elder and teens in MAGA hats" — "A video that shows white high school students in Make America Great Again hats and shirts mocking a Native American elder shocked the country, leading to widespread denunciations of the teens' behavior. "It was a moment in a bigger story that is still unfolding. "A new video that surfaced Sunday shows what happened before and after the encounter Friday in front of the Lincoln Memorial in Washington. "The new video adds context to an encounter viewed by many as the latest sign of bigotry infecting the country. Screenshots of a smirking teen staring down Omaha tribe elder Nathan Phillips spread through the internet, sparking widespread outrage. "But a teen who says he was involved in the encounter said the students' actions have been wrongly interpreted as racist. In a statement, Nick Sandmann said the students decided to raise their voices to drown out the Hebrew Israelites' inflammatory comments — not to intimidate or mock Phillips. Phillips has said the teen blocked his escape." The Hill: "Opinion: We have a long history of disrespecting Native Americans and denying their humanity" — "The viral video of a group of teenage boys appearing to taunt Nathan Phillips, a Native American veteran, as he played a drum during the Indigenous Peoples March is another reminder of the racism and intolerance that plague the country. "Some observers and some news accounts now insist that the video was edited, that a longer version shows a different version of the episode. Yet, if the original version of events proves to be true, it will be a chilling continuation of the long history of disrespecting Indians and denying them their basic rights. "Since many of the boys shown in the video wore 'Make American Great Again' caps, it is not surprising that President Trump is receiving much of the blame for their apparent behavior." 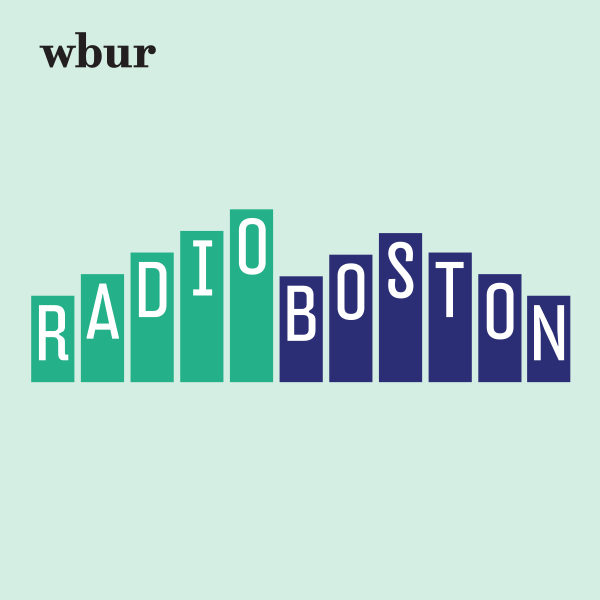 This program aired on January 22, 2019.